Are you looking for water heater services in NJ? At 1st Choice Plumbing, Heating and Drain Service, we are a fully licensed, insured and bonded plumbing and heating company providing water heater services in NJ. Our heating technicians are highly experienced in providing customers with properly functioning water heater services in NJ. We specialize in water heater replacement in NJ, water heater installation in NJ and water heater repair in NJ. Our heating professionals will provide your home or business with hot water in no time. At 1st Choice Plumbing, Heating and Drain Service, we understand the disruption caused by lack of hot water. With our water heater services in NJ, you can be sure our professionals will arrive to your home or office as quickly as possible. Our experts will inspect your water heater to determine the extent of your water heater problem and come up with the right solution based on what we find. Our professionals can provide water heater services in NJ for water heaters of any brand or model. We even perform water heater repair in NJ for different types of tankless water heaters including electric water heater repair in NJ and gas water heater repair in NJ. When you need water heater services in NJ, 1st Choice Plumbing, Heating and Drain Service provides 24/7 emergency water heater services for your convenience. For more information on our water heater services in NJ, call 1st Choice Plumbing, Heating and Drain Service at (201)288-0390! 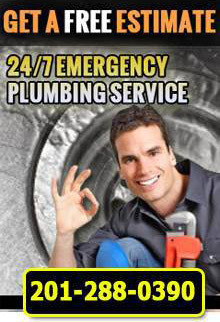 1st Choice Plumbing, Heating and Drains - Your trusted source for water heater services in NJ.